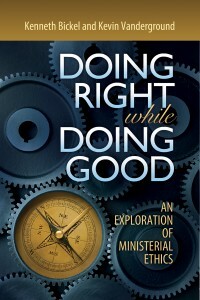 An important new resource on ethics for ministry leaders entitled Doing Right While Doing Good has just been released by BMH Books of Winona Lake, Indiana. 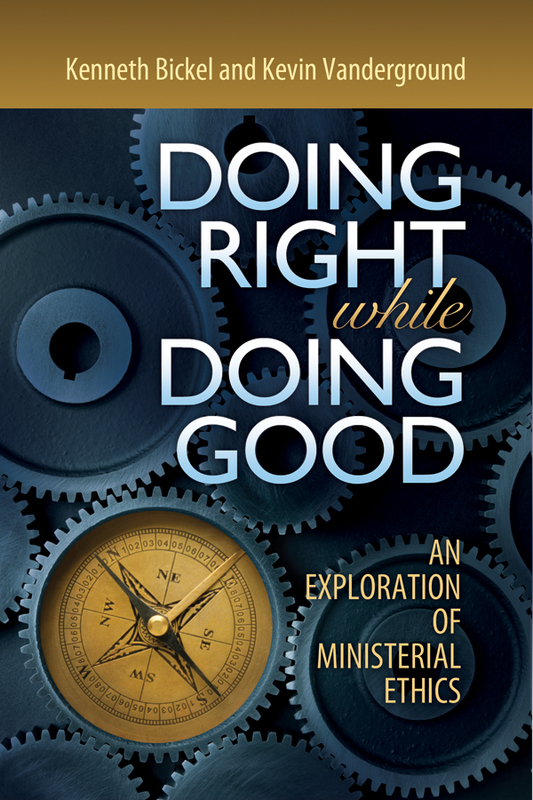 Subtitled “An Exploration of Ministerial Ethics,” the 149-page paperback expands on, and gives practical case studies to reinforce, a comprehensive statement of ethics for those in Christian ministry. Sections include “Habits of the Heart,” “Habits in the Home,” “Life in the Congregation,” “Financial Matters,” “Pastoral Transitions,” “Life in the Local Community,” “Staff Relations,” and more. Co-author Dr. Kenneth Bickel is a former banker, pastor and Grace Theological Seminary professor who has served as a senior pastor, seminary professor of pastoral studies, and director of Grace’s doctoral program in ministry. Bickel’s collaborator on the project is Kevin Vanderground, a practicing attorney and Grace College adjunct professor who has worked for city government and currently serves as a deacon and program leader in his local church. The ISBN number of Doing Right is 978-0-88469-282-9 and the retail price is $15.99. The book is available wherever books are sold, through online booksellers, and at www.bmhbooks.com.